Ella Graham is a portrait painter, whose luminous and insightful likenesses are beginning to gain her widespread recognition. But when her younger sister, Chloe, asks her to paint her American fiance, Nate, as a wedding present, Ella is dismayed. She loathes Nate, and she distrusts him - painting him is the last thing she’d like to do. But Ella wants to make her fragile sister happy, and so she puts aside her misgivings and reluctantly accepts. As they start to spend time together in the intimacy of the studio, Ella realises that there is more to Nate than meets the eye. At the same time Ella is learning about her other sitters’ lives: there’s an elderly widow with a wartime secret, a beautiful French woman who’s dreading turning forty, and a handsome politician who has a confession to make. Then, out of the blue, comes a message from Ella’s father John, who abandoned her and her mother when Ella was five. As I finished writing A Vintage Affair the idea of featuring a fine artist in my next novel started to dominate my thoughts. In particular I began to think about portraiture, and about the peculiar, sudden intimacy of the portrait sittings, because anyone who has them self painted is permitting a complete stranger to stare at every square inch of them for hours on end. I became fascinated by the thought of this, and in particular by the idea that the portrait artist seeks to portray their subject not just physically - their musculature, sinew, skin, hair and bone - but psychologically and spiritually too. I wondered what it must be like to sit there being scrutinized so intently. Would one talk to the artist? If so, in what depth? Would one feel embarrassed? Would one spill one’s soul, as if in the Confessional or in therapy, or would one try to conceal one’s true self from the artist’s gaze? Would one want to befriend the artist or perhaps even fall in love with them? With these thoughts crowding my mind I drafted a story about a portrait painter her sitters, their secrets - and their lies. 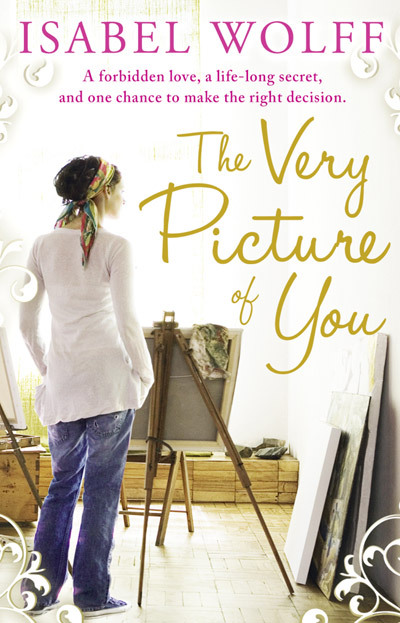 The Very Picture of You is about Ella’s sitters and their various problems; it’s about her growing love for Nate, as she falls for him brushstroke by brushstroke, wishing that the bittersweet happiness of the sittings will never end. It’s also about looking, and about how we often fail to see the whole picture. Ella’s mother Sue has concealed the truth about Ella’s father, who has been kept ‘out of the picture’. This is echoed in the story of Iris, whose poignant painting of the two small girls is based on the true story of the artist Sir Herbert Gunn, who was estranged from his daughters, following a bitter divorce. So The Very Picture of You is about a portrait painter, her sitters and their stories. It’s about the huge secrets that can lie within families, untold. Most importantly it’s about how we look at each other, and what we choose to see.